Get a head turning walking suit from the leader in stylish looking walking suits by Montique. 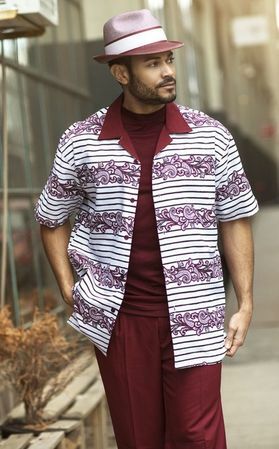 This mens walking suit features a unique style burgundy pattern top combined with an open style collar and solid pleated burgundy color pants. Made of wrinkle resistant poly.